We got an email from a new reader with a great blog post idea for this recent heat wave. 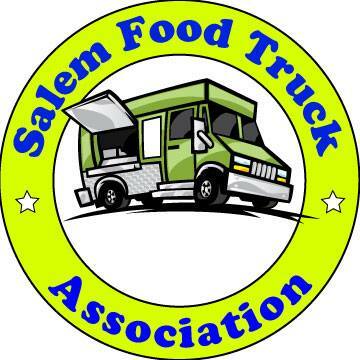 "I have been on a search lately for the best "go to" places for salad in Salem. The heat is out of control, and I'd like to know where I can go for something that isn't going to make me feel totally bogged down when I walk out." Unless you consider vegetarian pizza to be a salad, and some people do, I've never ordered a salad as a meal in Salem. Which restaurants in town can turn this leafy appetizer into a main course? Any other places to eat where you won't feel "bogged down" when you're done? I know it's a chain, but a Jamba Juice is pretty hard to beat when the mercury hits above 90. I like the salads at Wild Pear, both downtown (for a lunch salad, they're fantastic) and on River Road (I've had side salads there). Not too heavy, nice assortment of fresh toppings. Grand Vines downtown has the best Caesar Salad. I don't know what kind of dressing they use, but it is delicious!! The Big Kahuna Downtown has some awesome salads that are great for lunchs and for dinners!! Salem Man - you've mentioned them for pasta... but their salads are awesome too!!! Willamette Noodle Company has both Caesar and a mixed lettuce salad (which boasts their own vinaigrette - yummy!) that can be ordered with a handful of tasty and FRESH protein options to "make a meal" of. One of my favorites when the mercury starts to climb! Ever try the Greek Spinach Salad at Queen of Tarts? It is to die for! Has anyone every tried the salads at Johnny's Bar and Grill? It's that new place on the corner of Center and 17th Streets. My Mom and I went there for lunch last week and we each had a great salad. I got the chef salad and it was really good. It was piled high with toppings. I ordered the half size and I could not finish it. It came with bread and light honey butter on the side. It was only $5! Two of my favorite salads are at Break Point on Owens and Commercial: Harvest salad & Broccoli salad. Word of Mouth, Cafe 680 and Sassy Onion have a couple of great salads, too. I just had a chicken cashew salad at Wild Pear for lunch today. It was fantastic. What a great restaurant that I tend to forget about. Good service, great food. Only complaint is that it is too popular at lunch time. Nice buzz atmosphere and people watching, but not quiet and intimate - which is more my style. Wild Pear gets 9.5/10 stars from me. I think this topic needs a review - many of the comments are 5 years old and some are 2. Let's get prepared for Summer 2013! I'll start: Mill Creek Station & Catering has a lot of salads, some outdoor seating too. Closes at 3:00. Gamberettis has several new salads and they also have some great outdoor seating. I can vouch for the delicious salad I ate at Birdie's Bistro a short while back. And last week I enjoyed a tasty Greek salad with hummus at Orchards Bistro. The Olympus Salad at the Ram Restaurant & Brewery. Lettuce, spinach, red peppers, grilled onions, bacon, grilled chicken, artichoke hearts, feta, avocado, and I don't know what the dressing is but it's perfect! It's a huge salad, and I can never finish the whole thing.